In summer 1996, I saw the 'Doctor Who' TV movie, a pilot collaborated on by the BBC, Universal, and Fox. Well, I say pilot, but that would have required people to like it enough in America to make it 'go to series'. The Brits and Aussies liked it fine. So did I. But that was not sufficient. Still, you have to give it credit: it held the door open. We got to meet a new Doctor incarnation- for one night only. But he probably still dresses sort of Goth. Maybe. If you like that sort of thing. 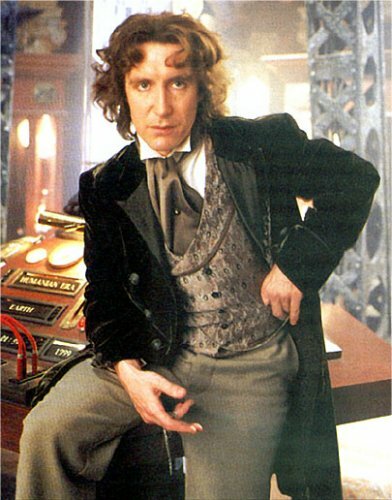 The Eighth Doctor regenerated in a morgue drawer in 1999 San Fransisco, and the hair and suit (it's really somebody's stolen New Year's eve cowboy costume) were the best he could throw together on the fly while saving the world. So... well, never mind. It's that way in all the promotional stuff so it's that way in all the comics and CD covers and the new action figure (an action figure of the EIGHTH doctor! Who woulda thought!) and that's all there is to say about that. The POINT is: it was 'Doctor Who' again! There he was, drinking tea, flying around the galaxy in his old Type 40 TARDIS (with a re-formatted interior looking very swank and cathedral-y and expensive). And there was Syl back as 7! A class act, that one. Popping out of his blue box for the last time. The Seventh Doctor died at the hands of Dr. Grace Holloway, doing the best she could without the knowledge that she was treating an alien. As a reward, or forgiveness, or just 'cause, she is the first onscreen kiss for the Doctor. And WHAT a Doctor! Eight is exuberant, passionate, wildly optimistic, fairly muddled, but he likes the ladies. He even claims his mother was human. Was that a joke? Probably. 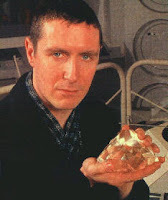 While all this dying, rebirth, getting dressed, and kissing is underway, however, the Master's ashes (he was tried and disintegrated by the Daleks) have slipped out of their box in the TARDIS, wiggled away as a translucent snake called a morphant, and popped down the throat of an Eric Roberts doppelganger EMT called Bruce. The Master's got himself a brand new body and a new stooge and he's out to steal the Doctor's lives if he has to collapse reality to do it! Or also because collapsing reality might be keen. Oh, that Master! 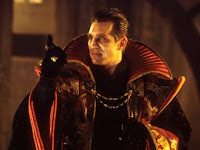 To find out if the Master succeeded in destroying us all on the eve of the millennium, tune in to YouTube, or buy a friggin' expensive Region Two DVD player and a UK version of the darn thing. Also, the eighth doctor lives on. Like Ace, his final curtain has yet to be drawn. Yes, he regenerated into 9, yes, it was probably right before NuWho began (9 still isn't used to his ears yet), and yeah, it was probably due to the Time War we've heard so much about. But, as with Two's offscreen death, if we didn't see it he can have as many adventures as the market will bear. He can even partner up with Mary Shelley or live for centuries with kindly jellyfish. FAVORITE EIGHTH DOCTOR QUOTE: "I can't make your dream come true forever, but I can make it come true today."